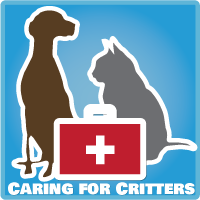 This post is part of the Caring For Critters Round Robin which was created by Jodi at Heart Like A Dog. Each day a different blogger has been sharing their experiences with a particular injury, condition, disease or illness, then "passing the baton" on to the next blogger. Yesterday Destiny's Dog Blog wrote about Canine Urinary Tract Infections and Incontinence, and tomorrow Let's Go Dog will be writing about Canine Epilepsy. I also encourage you to visit the Community Page where every blog post is archived. There was never a doubt in my mind what the topic of my post was going to be: my Angel Tara's battle with feline diabetes. A devastating diagnosis in the beginning, it ended up being a life-changing experience for me that taught me so much about myself and brought Tara and I closer together than ever. There are days in everyone's life that you remember as though it were yesterday; days when it seemed like from that moment everything changed. For me, one of those days was July 9, 2011. My beloved Tara was at the emergency vet for the second time in 10 days with a urinary tract infection. For the first incident she had been put on a course of antibiotics, but the symptoms came back even worse as soon as she went off the meds. It was a Saturday afternoon and I remember that the vet's office was so, so busy that day. A litter of puppies came in that had overheated, a dog came in that had been hit by a car. I felt so helpless waiting for what seemed like hours while my poor baby was peeing blood all over the room they had freed up for us. She was so sick I had demanded a place I could take her to try to clean her up a little and make her more comfortable. The vet on duty decided to do some blood work to try to figure out why the antibiotics hadn't cleared up the infection. My nerves were shattered while I waited for the results, and then they came...Tara was diabetic. Her blood sugar was close to 500. The vet said it was possible the high blood sugar level was due to the UTI, but she had never seem numbers that high due to an infection alone. "Do you think you can start giving her insulin shots?" He just looked at me and said, "You're going to have to learn how to do it." Tara had to spend the rest of the weekend at the emergency clinic on fluids, antibiotics, and to start an insulin regimen. I had those hours alone to let the whole situation sink in. When I picked her up Sunday night I was shown how to test her blood sugar, give insulin shots, and we discussed diet changes. She was the best little patient ever and received her testing and shots like a trooper. You know what I discovered? It wasn't the end of the world. Managing Tara's diabetes wasn't "easy", but it was certainly do-able. My research-oriented mind immediately kicked into gear and I started reading everything I could get my hands on about feline diabetes. (Ironically, my father received the same diagnosis a year later, and I was very well-versed in helping him learn to manage the disease.) 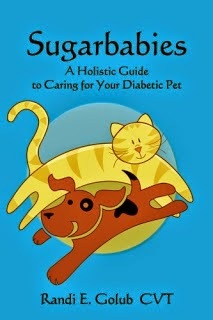 I found the Feline Diabetes Message Board and the ebook Sugarbabies: A Holistic Guide to Caring for Your Diabetic Pet to be invaluable sources of information. I watched YouTube videos on how to test her blood sugar at home and perform glucose curves. I followed the famous Janet & Binky's Food Charts religiously. For the recurrent urinary tract infections I put her on a daily regimen of D-Mannose powder. Some cats are lucky and through diet change alone are able to go off insulin; Tara was never so fortunate. We never got her blood sugar to an ideal level, but an acceptable one. 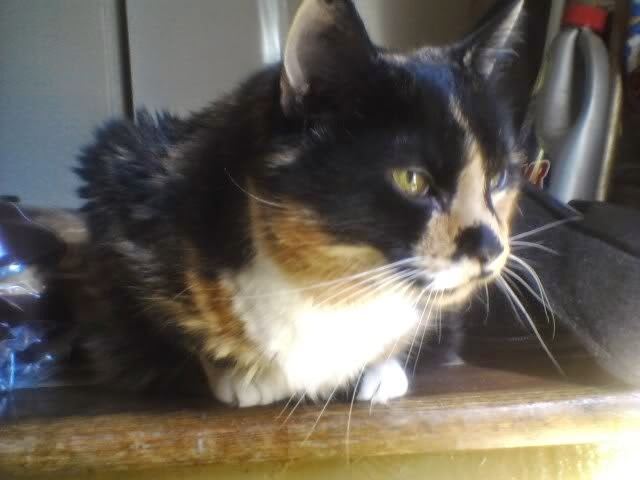 She went to the Rainbow Bridge just 2 days short of her 2 year anniversary of the diabetes diagnosis from congestive heart failure. One of the most important things I learned through this whole experience (besides the fact that I learned I could do things I never thought possible!) was the importance of noticing the signs of diabetes. Deep down the diagnosis didn't surprise me; I had noticed Tara was drinking and peeing more, I was just trying to live in denial and I still feel guilty about that. Her horribly painful UTI's was her little body screaming at me to WAKE UP! Life with Beagle created a wonderful infographic detailing the rise of diabetes in our pets, and the warning signs to be on the look out for. Please share and monitor your pets. Diabetes is NOT a death sentence, it is completely manageable. I am not a vet and this is only my personal experience in dealing with feline diabetes. It is a disease which requires close contact with your veterinarian, who you should always consult before choosing any course of treatment. Thank you for sharing Tara's story, Melissa. When Jewel started drinking more and losing a significant amount of weight, I thought she might have diabetes, but it turned out to be CRF. Diabetes is definitely a manageable condition and one pet owners should keep an eye out for. We know that cats can get diabetes. But it is manageable. Thanks for sharing Tara's story with all of us. Thanks for sharing Tara's story about diabetes - it's something I'd never thought about in cats and although Hannah and Lucy are fine it's something to take notice of if they change. Thank you for sharing Tara's story in the Round Robin. You were there for Tara and saw she got exactly what she needed, I know she knew that and I can completely understand why this brought the two of you even closer together. I’m sorry about little Tara. TW always thought Nicky was diabetic cos he was overweight and he drank tons of water. He was the opposite of me. TW never thought she’d be able to change Pop’s bandages after his major major back surgery but she did it. I don’t think she’d be able to handle me though unless I was 7/8 dead. My sweet boy who came before was diagnosed with diabetes back in 1995. At that time his sugars were in the 700s and the vet just had me give him shots twice a day and bring him in to have his sugars checked. He was 8yrs at that time. He live to be 15yrs when the diabetic neuropathy and renal failure finally got bad enough and I had to help him cross the bridge. He lead a full and happy life until that time. I wish there had been all the resources there are today, but we were lucky and had a wonderful life together. Thank you for sharing about Tara and her struggle with diabetes. It is an important disease to spread awareness for! I always feel for the diabetic cats at shelters who don't get adopted because no one wants to give insulin shots every day. It breaks my heart. If I had more room in my home, I would take one in. 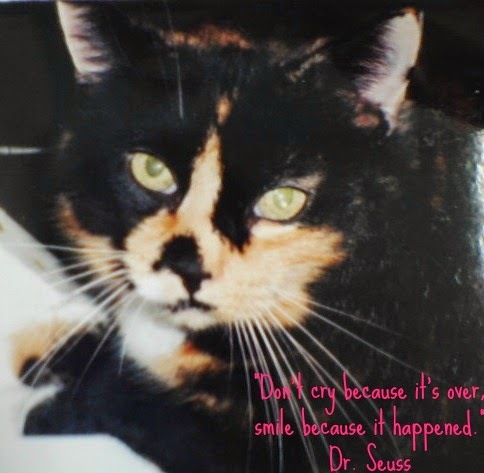 I hope Tara's story helps to educate people that it is possible to care for a diabetic cat. I'm so sorry you and Tara had to go through that though. I always tell people who get that diagnosis, that I'm sorry it has happened, but it will bring blessings in that it will bring you and your cat closer than ever should you choose to treat.. I treated Em for 7 years, and while it wasn't what I would wish on anyone, it really was something special. Thank you for sharing your story. We didn't know what the symptoms were really but we'll definitely watch out for it in the future. Diabetes is definitely manageable in kitties and we need more people to realize that. - Alana. Thank you for sharing Tara's story. You and Tara both bravely fought a tough battle. I recently experienced that devastating feeling of helplessness with Mr. Mo. The info here is so helpful. Thank you!!! Thank you for sharing your story. I truly not know about diabetes in animals. Tara will be happy when have nice mommy. I think she know that. This is a nice and informative, containing all information and also has a great impact on the new technology. Thanks I think I will check them all to work on destructeur diabète and Maitrisez Votre Diabete hoping that this can work on the same ways. Caturday Art: Happy Birthday Allie!! !